Atlantic 15 Coming to Sunny Isles Beach | John W. Tanner, J.D., M.S. Posted on March 28, 2013	by John W. Tanner, M.S. 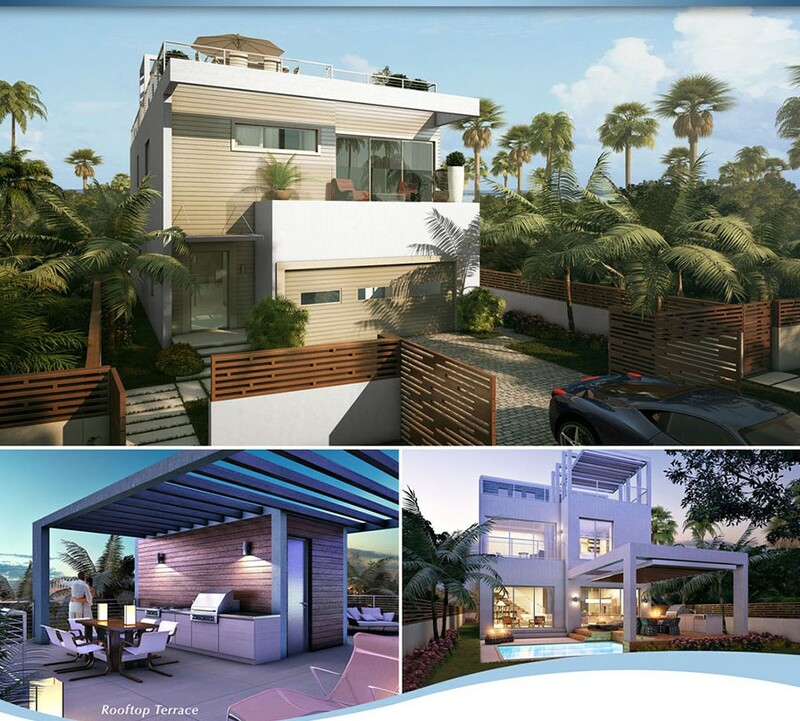 Terra Group is bringing back Miami’s beautiful “modernist” style of architecture that was popular in the 1950’s. Personally, I love this minimalist style because it feels clean, square, and airy. I guess you can say that my obsessive-compulsive personality likes the “compartmentalizing” design. I feel like I can neatly snap a photo of it and take home with me – wherever I go. The only downside to this property? There’s only 15 homes. “Nestled amidst the premier location of Sunny Isles Beach, ATLANTIC 15 will introduce a luxury community of 15 private single-family homes to those who seek to break from the mundane architectural styles. The lavish privately gated two-story residences will display the intentional asymmetry of modern architecture with solid contours, floor-to-ceiling windows and organic textures. A simple composition of coral or veneer, along with modern architectural styling, will be offered as the different exterior facade options to appeal to each home owner’s personal taste, and a third option of plain white finishes will also be offered for a clean modern feel. This entry was posted in Uncategorized and tagged 15, architecture, atlantic, beach, Florida, luxury, Miami, modernism, new construction, obsessive compulsive personality, real estate, sunny isles beach. Bookmark the permalink.